In the 11th year of EverQuest II, what did SOE/Daybreak give to me? An emotional rollercoaster ride! 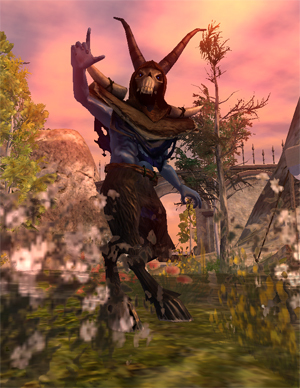 This Sunday marks 11 years of Norrathian adventures in the fantasy game, and what an adventure it has been. This year, unlike any other before, has been marked by upheaval and uncertainty for the company behind the venerable franchise. Yet there have also been a fair share of high points. EQII fans have definitely weathered ups and downs throughout the last 12 months. While normally an anniversary stroll down memory lane is centered more on what’s actually in the game, this look back is unique in that so many things outside the game itself influenced the year. Everything is intertwined. Development itself was obviously scaled back thanks to all the things happening to the studio, and in a genre that sees games come and go all the time, EQII players finally experienced the real dread that they might actually lose their favorite world. The good news is the year has ended as it began: on a high note. Hopefully, the lucky years 12 and 13 will be less of a seesaw and more like the dizzying fun of a merry-go-round! The 11th year started off strong, with the release of Altar of Malice, EQII’s 11th expansion, in November. All the feels that came with getting to return to the iconic Isle of Refuge — even if a bit altered by time and wayward magics — testified that all was right with the world of Norrath. I personally just wandered about for a long time before digging into the meat of the content! Flying around Kithicor Forest was a treat, and I took more screenshots than I can count of the exploded mages tower. Once I did dig in, I was faced with prehistoric creatures and funky little pygmies in a variety of landscapes. There was also a cool new race available to play for those who bought it. Come December, things were still riding pretty high with Frostfell. Although EverQuest II has no shortage of events and festivals, this year-end Norrathian holiday is easily one of — if not the — all-time favorites. With new items and new quests, I know players who can be gone all year who return for the Frostfell celebration. Around the same time as these festivities, Ethereal armor adornments started dropping in the AoM instances. Then in January, housing aficionados got a treat when some housing items from previous expansions were added to the loyalty merchants for purchase. And what follows January but February? Sadly this is where the happy feelings the 11th year started on took a turn for the worse; that’s when the crud hit the fan. First came the news of Sony selling off SOE. How could this not affect fans negatively? There were definitely fears that the beloved game that many folks have sunk years into would be lost. Despite the introduction of so many new MMOs over the years, there has yet to be one that really captures all the features that EQII offers. Quite a bit of that fear and uncertainty existed over the fact that the newly christened Daybreak was to be owned by an investment firm. Gamers worried that Columbus Nova would just break things down and sell them off. Those fears were further fueled when shortly after the acquisition, the high-profile layoffs commenced — 140 in total let go from the company. Dev reassurances didn’t exactly placate the crowds. For while it felt as if there wasn’t any good news on the horizon and that Daybreak just couldn’t catch a break. February included a DDOS attack that took the games down and the announced loss of SOE Live (because duh, no more SOE). In March, EQII GMs lost their ability to help players in “whoops” situations, like fixing accidentally bought, sold, looted, morified, or deleted items. On top of that, it was announced that deleted characters would no longer be restored. (Since that time, deleted characters are actually retained on the character select screen and can be restored at any time if you have an available character slot.) Guild management was also declared off-limits for GM intervention; if a guild leader disappeared, players’ only recourse was to find or make a new guild. Obviously, this was less than ideal for some players because guilds have levels, status, halls, and such that would be totally lost. During this same time, Daybreak also closed down multiple game forums for EQII, including PvP, guides, roleplay, events, and fan sites. So here’s a time that players are worrying about closures and loss and there are forms of closure and loss happening all around. It was like the chopping block gone mad! It’s no wonder that folks are skittish about the future. Things start looking up come April with the announcement of the move to DLCs instead of expansions. Continued content and development? Hurrah! The first DLC, Rum Cellar, came out right in April and offered a storyline that includes plenty of pirates and booze; it also let players zip around on flying zeppelin mounts. The new content wasn’t without its detractors, though; besides what some players felt was too little content, one not-so-appreciated feature of this first DLC is the fact that part of the story was locked behind raids. Yes, players had to participate in the raid portion to get the full campaign story. Those who don’t raid for whatever reason could get the gist of it from the heroics zone, but some details were unique to the raid content. Just as the future was looking brighter with new content, EQII got tangled in some Reddit and forum drama, which led Daybreak to reevaluate forum policies. Then in May, mercenary lockboxes were introduced; these mercs were also no trade instead of heirloom, meaning that players couldn’t give them to any alt to use. Call that good or bad depending on how you feel about lockboxes. Thank heavens for the summer! June is when things really got exciting for my favorite fantasy game. That’s when the time-locked expansion servers were revealed. Both PvP and PvE versions would exist, and these servers would allow players to start over as a community, moving through each expansion only when the majority votes to do so. June also heralded the announcement of the eventual merges that would help bolster population on select servers. (Those merges started actually happening in October.) Then to top that off the newest batch of fabled dungeons were released, this time from the Echoes of Faydwer expansion. Plenty of goodness to revel in. At the end of the month at E3, amid all the progression server talk, I was let in on an awesome little secret (which really was one of the highest points of EQII’s year for me), and I seriously couldn’t wait to share it! What could make the heart of even the most grizzled Norrathian melt? That would be the return of the original Isle of Refuge! I didn’t matter that the experience was limited to paid All-access members; players came in droves to relive or experience that bit of nostalgia for the very first time. I know folks who returned solely to wander about that little island a while. Some stayed and continued on the progression server, while others moved back to all their stuff on the regular servers, but the fact is many stayed on. That decision to find and include the original starting zone was a complete win. Folks might have died of happiness if the original racial suburbs were also restored; alas, that wasn’t meant to be. Someday… we can only hope. The next bit of news could be seen as an up or a down totally depending on your personal viewpoint, and that’s the news of John Smedley leaving the company in July. While not necessarily directly related to EQII, Smedley was practically synonymous with the EverQuest franchise, so you couldn’t think of one one without the other. The nature of the next announcement is also dependent on viewpoint. In August, Daybreak surprised us with the advent of the prison server — a new way to manage unruly accounts. The upswing continued as September brought the surprise announcement that the next content update would be a full-blown expansion, not a DLC. There was cheering in the Norrathian streets! While the news for a full expansion was certainly welcome and celebrated, you couldn’t ignore that there were a few concerns, including pricing. And more good kept coming as the TLE servers added in the first expansion, servers began merging (although that did bring the game down for those folks longer than anticipated), and the game ran some live events, one in honor of Monty Python and the other in preparation of the upcoming expansion. The one big downer negative ending the year is the announced 12-year veteran reward of loyalty tokens, but that’s a discussion/rant for another time. I can only hope that decision is reevaluated. I don’t know about you all, but I am looking forward to a year with a little less in the way of ups and downs. Sure, I know there will be some, but I hope the rollercoaster ride is done. I am optimistic (though honestly, when am I not?). Already the next year is looking good for EQII. In just a couple of weeks, Terrors of Thalumbra will go live. We already know it’s gorgeous, and even I can’t wait to lose myself (literally) in the new contested zone. There’s also the Heroes Festival to participate in from Friday, November 6th, to Monday, November 16th, with the requisite goodies and quests. And this year’s Frostfell is just around the corner…unless you happen to only play on the progression servers, then you don’t get any festivals. Here’s to hoping you can get Frostfell at least! While we learned in February that there wouldn’t be any SOE Live in 2015, I don’t think that was truly felt until the summer when all those EQII fans who were used to congregating together were not in Vegas. Yes, there was a Fan Faire reborn, but that’s not the same as the incredible shindig that the studio put on ever year, filled with devs, news, and shenanigans. Here’s to hoping a Daybreak event can happen in 2016! That would definitely make it an awesome year. Radfist swordandkeyboardgaming yes. i suppose. i will never look back because thier customer service treated me like crap one day after paying 2 subs plus content for 3 years. basically treated me with complete lack of disrespect. then to make it worse their crappy gm spitefully changed my game name i had for 3 + years .. i quit that day and they lost a solid customer not to mention someone that was good to new players and played 20+ hours a week. Ironwu That forced grouping was the key to a lot of very active guilds. When everything is soloable, there’s no reason to group up regularly or even get to know other players. Post hack and F2P though, many guilds fell apart so continuing to reduce difficulty makes sense. My last guild was over 400 paid accounts just before F2P and could field three full raid groups with some standbys. Now, 2-3 people log on in a day at most, some days nobody. Um…EQ2 launched in November, 2004; it was during the same month and year that WoW launched, in fact. They’re both dinging 11 years old this very month. :) Just sayin’. swordandkeyboardgaming They gave up after a while and sit somewhere in the middle now. Rozyn Yeah the lack of itemisation support pretty much killed my interest in DoF content. Oh look I already have best in slot from a few easy group zones before I even hit 60, fantastic! Pretty standard year for SOE / DBG though. They always make ridiculous mistakes and then bow to pressure from the community. It is pretty much business as usual now. I would recommend that they try focus groups, but I know they have such little resources on EQ2 that nothing will change. Even with all that clutter, it is still one of the most interesting MMOs around and has a special place in my gaming library. I just hope they can get EQN off to a good start and avoid the mistakes of the past. Mortam it has been a long time since i jumped into EQ2, it is one of my all time faves, It has just so much content and really unique features like the face talking, tech or what ever its called. It’s still the best MMO for me. I have taken several breaks to go play other games, but I always end up back in EQ2. There are just so many features, big and small, with a massive amount of content built over the last decade. 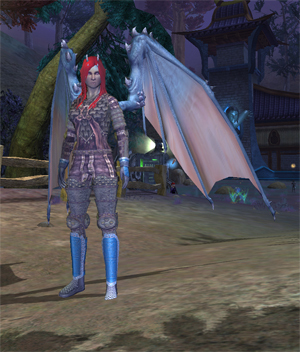 I doubt another MMO will pull me away from EQ2 any time soon….Oh, Oh… Shiny !